SO YOU THINK (NZ) (Bay or Brown 2006-Stud 2012). 14 wins-1 at 2, MVRC WS Cox P., Gr.1-twice. Sire of 357 rnrs, 194 wnrs, 14 SW, inc. La Bella Diosa (New Zealand One Thousand Guineas, Gr.1), Sopressa, D'Argento, Inference, Gold Rush, Heavenly Thought, Higher Ground, Think Bleue, The Pinnacle, Northwest Passage, Global Thinking, Marathon Man, Care to Think, So Si Bon, SP Harvestfortheworld, Light Up the Room, Nakeeta Jane, Coral Coast, etc. Phelps Glory (g. by All American). 3 wins-1 at 2-at 1000m, 1400m, A$96,400, to 2017-18, SAJC Ubet 2YO P., Refrigeration & Air Conditioning H., Oakbank RC Arkaba Hotel H., 3d SAJC BGR Building & Design 2YO H., Goldin Farms H., David Loy H., Happy 90th Birthday Mum H., 4th SAJC National S., Gr.3. Maggie Miss (f. by Medaglia d'Oro). 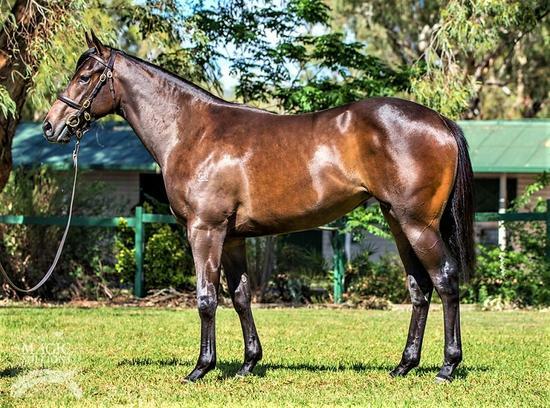 Placed at 3 in 2018-19, 2d ATC TAB Rewards H.
REKINDLED INTEREST (Redoute's Choice). 3 wins-1 at 2-from 1000m to 2050m, A$921,300, MVRC Dato' Tan Chin Nam S., Gr.2, AAMI Vase, Gr.2, 2d ATC George Ryder S., Gr.1, VRC Aurie's Star H., Gr.3, MVRC Chandler Macleod S., L, 3d MVRC WS Cox P., Gr.1, VRC LKS Mackinnon S., Gr.1, MVRC Dato' Tan Chin Nam S., Gr.2, 4th MRC Memsie S., Gr.2, MVRC Mitchell McKenzie S., L.
Stay de Night (Shamardal). 2 wins at 1m, 8½f, 3d Naas Owenstown Stud S., L.
Polished Rock. 6 wins from 1¼m to 22½f to 2018, Curragh Loughwood H., Leopardstown Happy Mondays Apprentice H., 2d Leopardstown Irish Stallion Farms 2YO S., 3d Leopardstown MSL Sandyford H., Listowel Lartigue Hurdle. A Likely Story. 2 wins at 6f, 7f in 2018, Curragh Where Champions are Made H., 2d Curragh Breast Cancer Research H., 4th Leopardstown Two Thousand Guineas Trial, L.
Late Day Sun. 2 wins-1 at 2-at 1m, 1¼m, Curragh Fleetwood Paints H. Producer. Super Falcon (Rock of Gibraltar). 7 wins to 1400m in India, 2d Hyderabad Darley Arabian Million, L.
PORTICCIO (Lomitas). 3 wins from 1900m to 3600m, €75,401 in Ireland and France, Toulouse Grand Prix Inter-Regional des 3 Ans, L, Deauville Prix de l'Eure, 2d Grand Prix du Lion d'Angers, L, Longchamp Prix des Feuillants, Prix de Saint-James, 3d Fontainebleau Prix Sicambre. 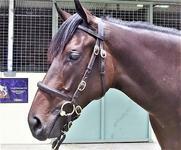 Rekindled Alliance (Redoute's Choice). Winner at 1100m, A$203,100, ATC Barcardi Bar P., 2d ATC Phar Lap S., Gr.2, Tulloch S., Gr.2, Newcastle JC Spring S., Gr.3, ATC Sealy Posturepedic H., 3d ATC Frank Packer P., Gr.3, 4th ATC Royal Sovereign S., Gr.2. 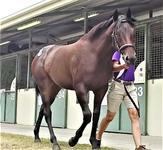 Rekindled Power (Redoute's Choice). 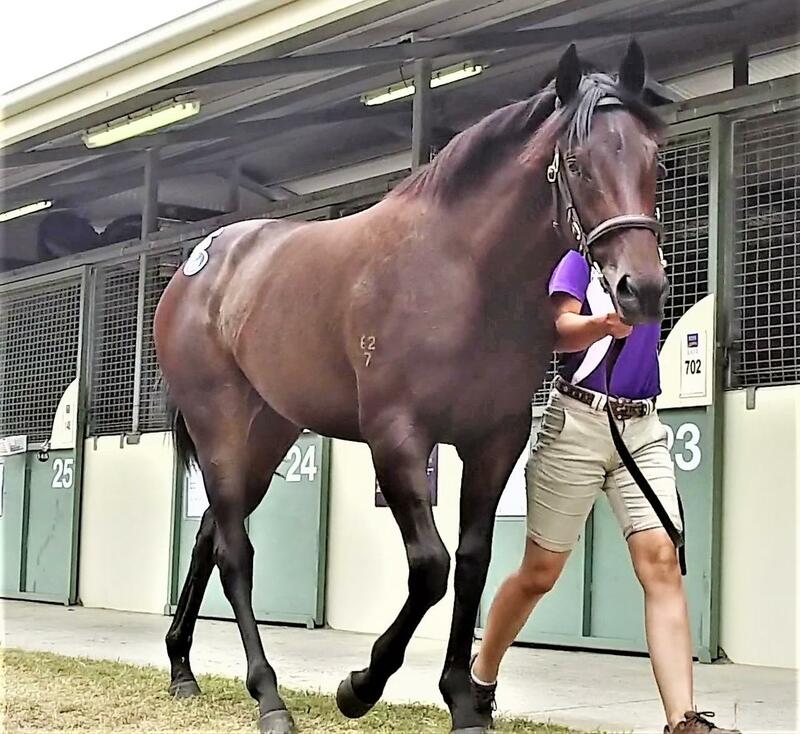 Winner at 1400m, A$79,210, 3d ATC Royal Sovereign S., Gr.2, It's Betting Season at TAB H., 4th BRC Mick Dittman P., L.
Romea. 2 wins at 1600m, 1700m, Rome Premio Francesco Settimi, Premio Gay Mecene, 2d Rome Premio Demetrio, Premio Pape Satan, 3d Rome Premio Fidyi. Producer. Smooth Performance (Seattle Slew). 3 wins-1 at 2-from 6f to 1¼m, 2d Belmont Dwyer S., Gr.2, Leopardstown S., Gr.3, Leopardstown Orby S., L, 3d Leopardstown Derby Trial S., Gr.3, 4th Curragh National S., Gr.1. Sire. DESIGNS ON ROME (Holy Roman Emperor). Horse of the Year in Hong Kong in 2013-14. Champion Middle Distance Horse in Hong Kong in 2013-14 & 2014-15. 11 wins-1 at 2-from 1400m to 2000m, €55,420, HK$60,492,375, 1,101,000Dhs, HKJC Audemars Piguet Queen Elizabeth II Cup, Gr.1, Longines Hong Kong Cup, Gr.1, Citibank Hong Kong Gold Cup, Gr.1-twice, Oriental Watch Sha Tin Trophy, Gr.2, BMW Hong Kong Derby, L, Centenary Vase, L, Hong Kong Classic Cup, L, Sha Tin Mile Trophy, Chevalier Cup, 2d Curragh National S., Gr.1, Hong Kong Classic Mile, L, 3d HKJC Chairman's Trophy, L, Celebration Cup, L, 4th HKJC Audemars Piguet Queen Elizabeth II Cup, Gr.1, Longines Hong Kong Cup, Gr.1. SIMPLE EXCHANGE (Danehill). 4 wins-2 at 2-from 6f to 1¼m, £18,438, €84,052, US$170,000, Arlington Park American Derby, Gr.2, Cork El Gran Senor S., L, Kempton Magnolia S., L, 2d Curragh Round Tower S., L, 3d Leopardstown Ballycorus S., Gr.3, Baden-Baden Preis der Sparkassen Finanzgruppe, Gr.3, Leopardstown Challenge S., L, Düsseldorf BMW Preis Düsseldorf, L, 4th Arlington Park Secretariat S., Gr.1, Hoppegarten Preis der Deutschen Einheit, Gr.3, Royal Ascot Hampton Court S., L.
SIGHTS ON GOLD (Indian Ridge). 6 wins-1 at 2-from 7f to 1½m, £115,503, €108,272, HK$3,000,000, 217,200Dhs, Sandown Brigadier Gerard S., Gr.3, Newbury Arc Trial S., Gr.3, 2d Cathay Pacific Hong Kong Vase, Gr.1, Curragh Royal Whip S., Gr.2, Ayr Scottish Derby, Gr.2, Newmarket Darley S., Gr.3, Nad al Sheba Jebel Hatta S., Gr.3. ROMANISED (Holy Roman Emperor). 2 wins-1 at 2-at 5¾f, 1m, £9,675, €274,839, to 2018, Irish Two Thousand Guineas, Gr.1, 2d Sandown Solario S., Gr.3. ROCK OF ROMANCE (Rock of Gibraltar). 5 wins from 2400m to 3200m, €95,281, 33,600sFr in France, Italy, Germany and Switzerland, Milan St Leger Italiano, Gr.3, Hamburg Langer Hamburger, L, Deauville Prix du Mont Lion, 2d Milan St Leger Italiano, Gr.3, Hoppegarten Oleander Rennen, Gr.3, 3d Dortmund Deutsches St Leger, Gr.3. FICTIONAL ACCOUNT (Stravinsky). Champion Older Female Stayer in Ireland in 2011. 6 wins from 1m to 17f, £24,316, €82,232, A$22,300, Ascot Fenwolf S., L, Curragh Ballycullen S., L, 2d MVRC Japan Racing Association S., L, 3d Leopardstown Challenge S., L. Producer. EL NINO (Victory Gallop). 5 wins-3 at 2-from 1400m to 1900m to 2018 in Turkey, Izmir Fehmi Simsaroglu, L, 2d Izmir Alsancak, L, Istanbul Beyoglu 15 Temmuz Sehitleri, L, 3d Izmir Kubilay, L.